In cases where cast immobilization, orthoses and shoe therapy have failed, surgery is the next alternative. The goal of surgery and non-surgical treatment is to eliminate pain, stop progression of the deformity and improve mobility of the patient. 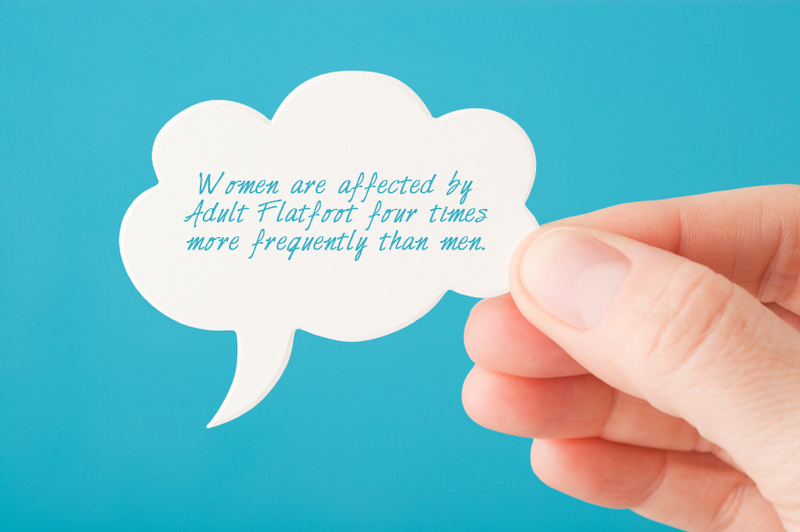 Opinions vary as to the best surgical treatment for adult acquired flatfoot. Procedures commonly used to correct the condition include tendon debridement, tendon transfers, osteotomies (cutting and repositioning of bone) and joint fusions. (See surgical correction of adult acquired flatfoot). Patients with adult acquired flatfoot are advised to discuss thoroughly the benefits vs. risks of all surgical options. Most procedures have long-term recovery mandating that the correct procedure be utilized to give the best long-term benefit. Most flatfoot surgical procedures require six to twelve weeks of cast immobilization. Joint fusion procedures require eight weeks of non-weightbearing on the operated foot – meaning you will be on crutches for two months. The bottom line is, Make sure all of your non-surgical options have been covered before considering surgery. Your primary goals with any treatment are to eliminate pain and improve mobility. In many cases, with the properly designed foot orthosis or ankle brace, these goals can be achieved without surgical intervention. This entry was posted in Adult Aquired Flat Foot and tagged Adult Aquired Flat Foot on April 16, 2015 by susanfegarly.